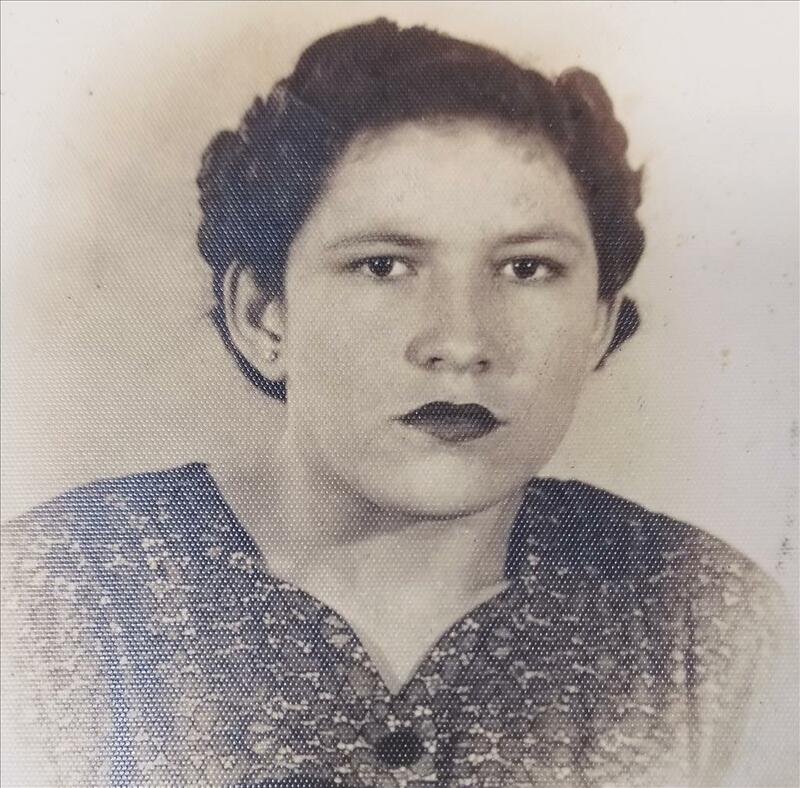 Maria R. Cisneros, 87, passed away on Sunday, March 31, 2019, at Cimmaron Place Health and Rehabilitation Center in Corpus Christi, TX. She is preceded in death by husband, Oscar Cesar Cisneros; 4 brothers, Rosalio E. Rodriguez, Jose Julio Rodriguez, Jr., Juan R. Rodriguez, and Thomas Alfonso Rodriguez; a sister, Guadalupe Elena Rodriguez. Mrs. Cisneros is survived by 3 daughters, Romina C. de la Garza, and Fredesvinda C. Guerrero of Corpus Christi, TX., and Rolanda C. Gomez of Brownsville; a brother, Felix A. Rodriguez; 4 sisters, Carolina R. Aguirre, Maria de los Angeles Flores, Aurora Dorsett, and Maria Luisa Fernandez; 9 grandchildren, 19 great-grandchildren, 3 great-great-grandchildren, and 2 great-great-great-grandchildren. Visitation will be held from 4 pm to 9 pm with a Prayer Service at 7 pm on Monday, April 1, 2019. Funeral Service will be held at noon on Tuesday, April 2, 2019, at Garza Memorial Funeral Home. Committal will follow at Buena Vista Burial Park.